Hello guys! Good morning to all of you. I'm woke up late today but still I'm so sleepy. I slept so late last night because I had many opportunities to finished. 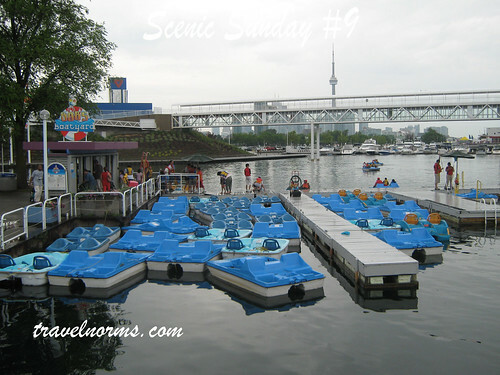 Here's my Scenic Sunday entry for this week, the boat yard at Ontario Place. One of the most exciting boat rides for children as well as for parents. Wanna ride? Come visit this place. Pedaloes! That looks like fun though the sky is cloudy..
What an incredible place! Very inviting to go for a boat ride!